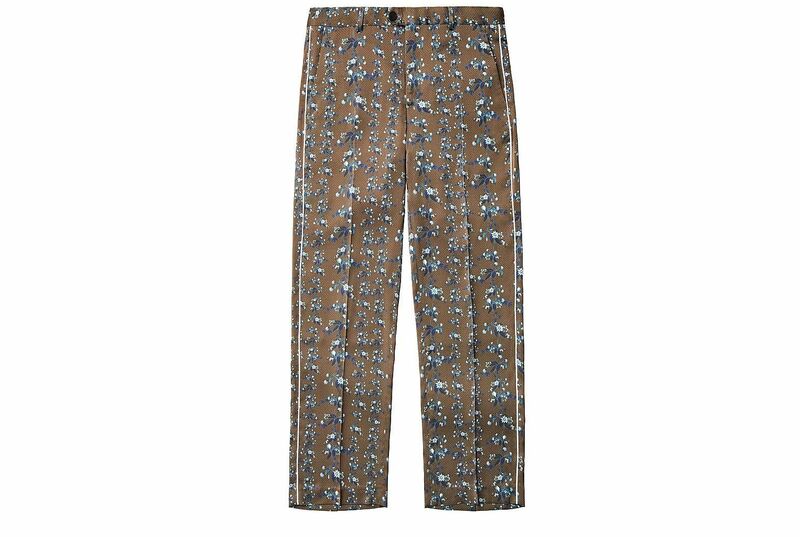 High-street retailer H&M and London-based label Erdem's collaboration features Erdem Moralioglu's distinctive aesthetics - flower prints, Erdem's first men's collection, and even a short film by Australian director Baz Luhrmann. Tie-ups between designers and high-street fashion chains often end up being neither fish nor fowl. The styles can look like watered-down, poor-cousin versions of the designers' main collection, leaving their biggest fans disappointed and regular shoppers with sticker shock as they are confronted with higher-than-usual prices at their favourite chain. London-based designer Erdem Moralioglu was all too aware of this when he embarked on a collection for Swedish retail giant H&M. "When you hear about these collaborations, it's often something that's 'a lesser version of'," he says. But the 40-year-old set out to do just "the opposite of that" - create a more accessible and affordable line, and with classic silhouettes, luxe fabrics and impeccable tailoring made to last. And rather than sticking to the playbook he is known for, he also tried his hand at designing menswear for the first time, along with T-shirts, hoodies, a backpack and sneakers bearing his name. The result, Erdem x H&M, is his antidote to fast, disposable fashion, says Moralioglu, who is known for his ultra-feminine dresses and striking floral prints. Erdem, a London-based label, was founded in 2005 by Anglo-Turkish designer Erdem Moralioglu (above), a Royal College of Art graduate who interned with Vivienne Westwood and Diane von Furstenberg. His profile has skyrocketed in recent years, thanks in no small part to his famous fans - notably the Duchess of Cambridge, Kate Middleton, and an endless parade of A-list actresses including Nicole Kidman, Cate Blanchett, Kirsten Dunst, Kate Bosworth, Kate Mara and Meghan Markle. They are frequently photographed wearing his ultra-feminine creations, which often feature Erdem's signature floral prints. These frocks typically cost thousands of dollars apiece, but at the launch of his more affordable Erdem x H&M collaboration in Los Angeles last month, his celebrity clientele turned out in force, many wearing pieces from the high-street collection. Dunst, 35, rocked a pyjama-style silk shirt and trousers from the men's collection, while Bosworth, 34, was resplendent in a snowdrop print ballgown with grosgrain-ribbon detailing. Also spotted at the star-studded gathering were British television personality Alexa Chung (below) and actresses Selma Blair, Zendaya, Rashida Jones and Ana de Armas. "Creating these pieces that have an odd classicism to them is almost disruptive to the idea of 'Let's consume it, let's buy it, let's wear it for a bit and let's discard it,'" he says. "It was about creating pieces that have a permanence to them and doing the opposite of something that feels like 'fast fashion'." In a day packed with last-minute fittings for a Los Angeles runway show launching the collection last month, the bespectacled, softspoken designer sits down with The Straits Times to explain how he went about accomplishing this. He also reveals a rather quirky source of inspiration for the new line - the music video for a 1990 Pet Shop Boys song, Being Boring, which he first saw in high school. The video is set "in this old English country house with young people inhabiting it - girls in bias-cut dresses wearing sneakers and boys in tuxedos with T-shirts". "And there was something so democratic and inclusive about this idea of formal and informal and having something that would be amazing for someone who's 16 or 75," he adds. The designer - who has a Turkish father and English mother - also drew on memories from his childhood, which was split between Montreal, Canada and Birmingham, England. He looked to the style of English cultural icons such as painter David Hockney and actress Jane Birkin, and "how my father would dress in the 1960s, or my mum, or my sister with a vintage oversized jumper over a little silk dress in high school, or the Canadian army jackets I wore". The result is an eclectic collection that has the feel of a slouchy but chic party at an English country house, with pyjama-style silk shirts and trousers, Fair Isle mohair sweaters, Harris tweed coats and guipure-lace and jacquard dresses that can be paired with sneakers and a hoodie. Moralioglu set out to make pieces that can be worn for 10 or 20 years and are versatile enough to mix and match and dress up or down. "I wanted the collection to have weight to it and feel very luxe, from the weight of the silk to the tweed suit for women that's done by this beautiful Italian mill I work with on my main line. "I wanted to work with Harris tweed in Scotland and create a perfect tweed suit, and have the jacket sold separately from the trousers so a man could wear it almost like a jean jacket or as part of a suit." The designer says he approached the collection the same way he does his main line - starting with "the idea of character and narrative" for inspiration, then obsessing over the workmanship and tiniest details - ribbons inside the men's collars and grosgrain rosettes in the necklines of dresses. H&M's creative advisor, Ms Ann-Sofie Johansson, says the company's designers learnt a thing or two working with Moralioglu. "We learnt how to line a lace dress in different layers, with just the right amount of see-through." And while this means Erdem x H&M is slightly pricier than some previous collaborations, the clothes are also designed to have staying power. "His clothes have longevity. These are precious things you can save in the wardrobe and take out over and over again," Ms Johansson says. And when it comes to sustainable fashion, she adds: "I don't think it's the price of the garment that matters, as long as it's well designed and a really beautiful product and you love it. "Because if you love it, you also care for a garment for it to live longer." Some of the most durable items are the tailored menswear pieces, which Moralioglu admits are the ones he is most proud of in the collection. "I love the tailoring for men because, to me, it really works and I wear it all the time." And this foray into designing for men led to some happy accidents, he reveals. "Exploring menswear influenced my womenswear and vice versa. "I put men in some of the women's clothing - like, there is a ruffled blouse done in organic cotton that was designed for women, and I found myself putting it on the male-fit model with the tailoring, and it felt kind of oddly modern." 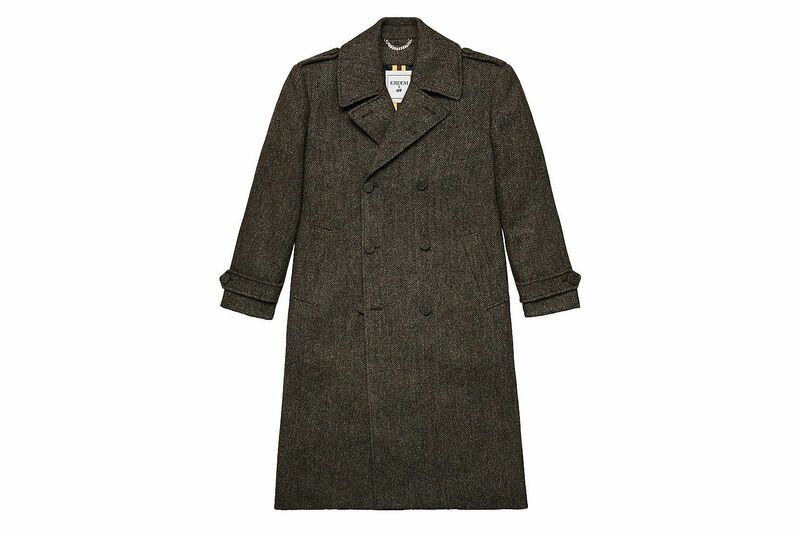 He also had fun playing with the grey Harris tweed suit "and how it hung on a woman's shoulders, even though it was designed for men", he says. "I found myself piece-switching.There's a wonderful kind of fluidity between the men's and womenswear and it felt like a new exploration. "It wasn't like, 'Let's do a new version of a jacket from 10 years ago and make it less expensive.' There's absolutely a newness to this body of work." The collaboration with H&M certainly appears to have stretched Moralioglu as a designer, but when asked if it will influence him moving forward, he hesitates. "It's too early to say," he demurs, although he smiles when asked if he might introduce menswear to his main collection some day and does not rule it out. Working with H&M has also made him think about the woman he designs for in a different light and "at different points of the day". There is, he says, a new "broadness" to his work. H&M's designer collaborations usually sell out within three days of their launch in Singapore, says the Swedish fashion retailer. So to help shoppers strategise ahead of today's global unveiling of Erdem x H&M - available at H&M Orchard Building and H&M Ion Orchard in Singapore - the retailer's creative adviser, Ms Ann-Sofie Johansson (above), picks five must-haves from the hotly anticipated line, which has 82 items ranging in price from $34.95 for a pair of floral print stockings to $449 for a long lace dress or men's wool coat. Ms Johansson, 53, has been at H&M for three decades, working her way up from a sales assistant at a store in Stockholm in the 1980s to the head of design from 2008 to 2015, when she oversaw more than 100 designers. Now she is a spokesman for the company and helps shape its overall brand - which includes overseeing 13 years of collaborations with big-name designers such as Erdem, Stella McCartney, Alexander Wang, Isabel Marant and Versace. Chatting with The Straits Times in Los Angeles last month, the Swede looks effortlessly chic in a crisp white shirt paired with the collection's men's silk pyjama trousers and sparkly bow-shaped earrings. She says she has not forgotten a valuable lesson she learnt as a shop assistant all those years ago. "You have to think about the customer all the time when you are crafting the collection. You can dream when you start the process, but eventually you have to start thinking, 'Who is wearing this, on what occasions and how are they living their lives?' Fashion is very much about needs and desires." Although she is no longer a designer at H&M, Ms Johansson still does "a lot of research just to be on track and to look out for new things that are happening". This entails visiting cities in every corner of the globe just to people-watch - which is what she did when she came to Singapore a couple of years ago. "I think you're all really fashion-conscious - not only really trendy, really aware, but also with a personal style and very much into details. Everything has to be just right." Asia as a whole is wielding more influence in international fashion trends and H&M routinely sends its design teams to Tokyo and other Asian capitals for inspiration, she reveals. "It's not so much about Europe or the Western world any longer and it's much more exciting. It should have been like that long ago, but it's easier now with globalisation." Ms Johansson picks her favourites from the Erdem x H&M collection. "I love the fur coat for women. Leopard print is a classic. 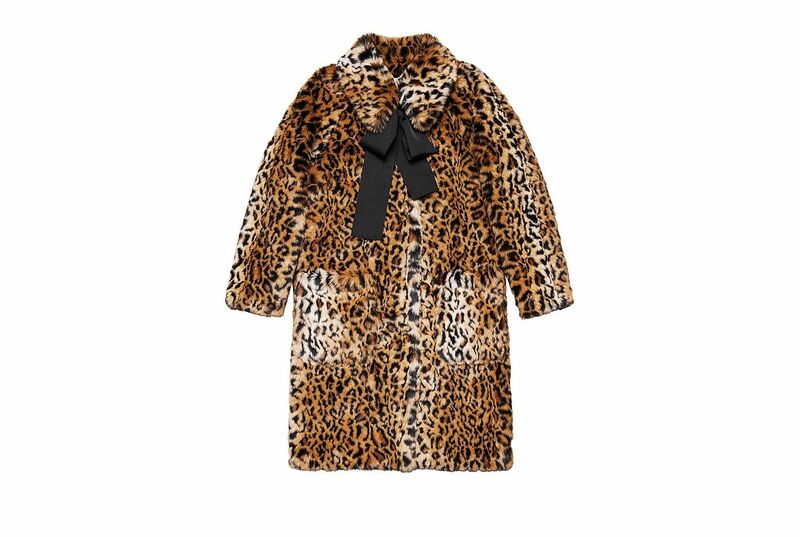 And this big bow, with the grosgrain detail that runs throughout the collection, is also super nice." 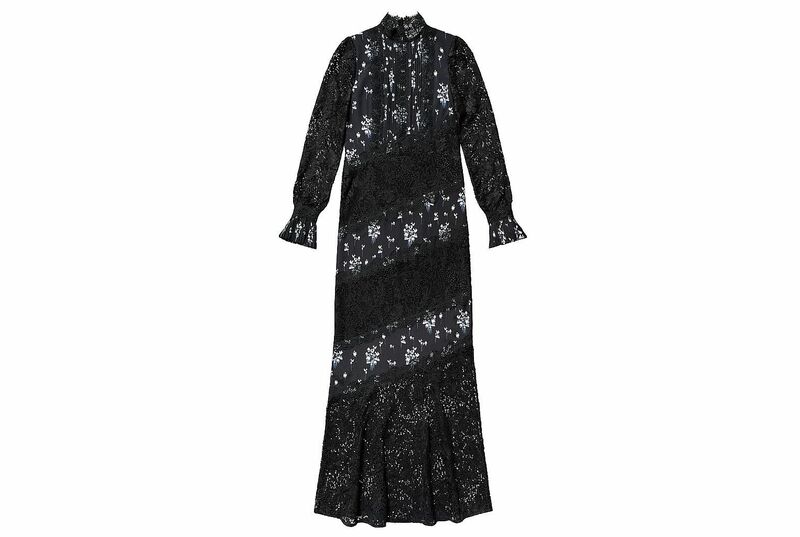 "This dress is easy to wear because it's so flowy and beautiful with that black lace. On every occasion that you don't know what to put on, this dress will save you. And black lace never goes out of fashion." "There are pyjama trousers in the women's line also, but I prefer the men's ones. I'm a bit of a tomboy, so I love wearing menswear - it's elegant, relaxed and modern, but with a coolness." "The knitwear is amazing. 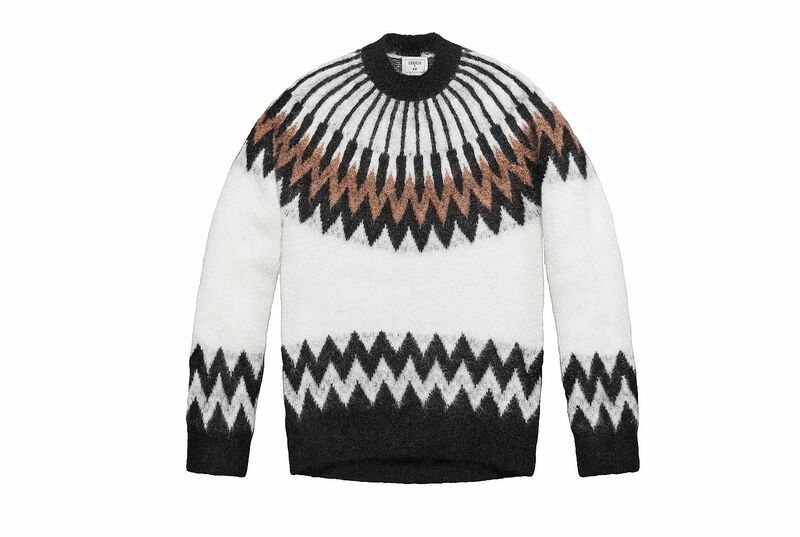 There is also a blue mohair sweater and a second one with a Fair Isle design." "Erdem is very picky when it comes to the insides of garments - they are all beautiful, with printed linings and grosgrain details."